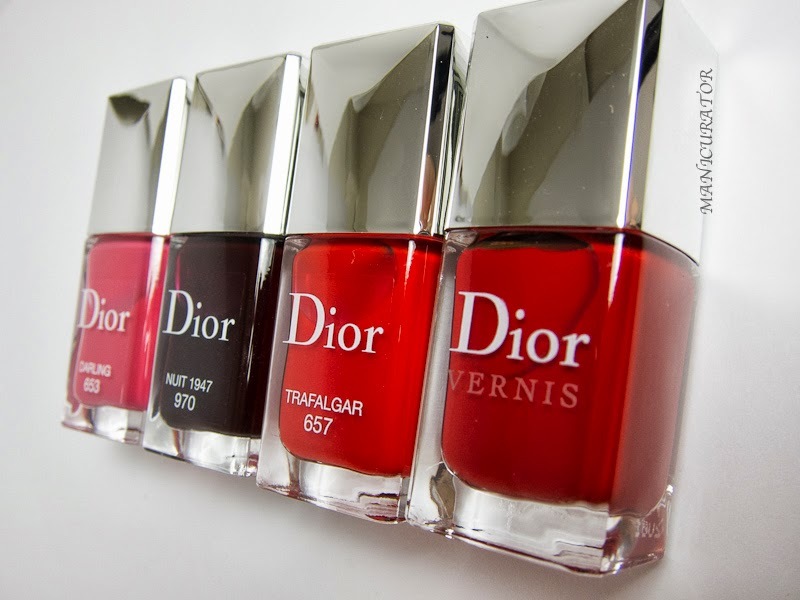 The House of Dior is celebrating sixty years since Mr. Dior created his first makeup product, lipstick. He imagined "dressing women's smiles" and combined fashion and makeup for a full look. Mr. Dior believed "a touch of color is all it takes to change your appearance." 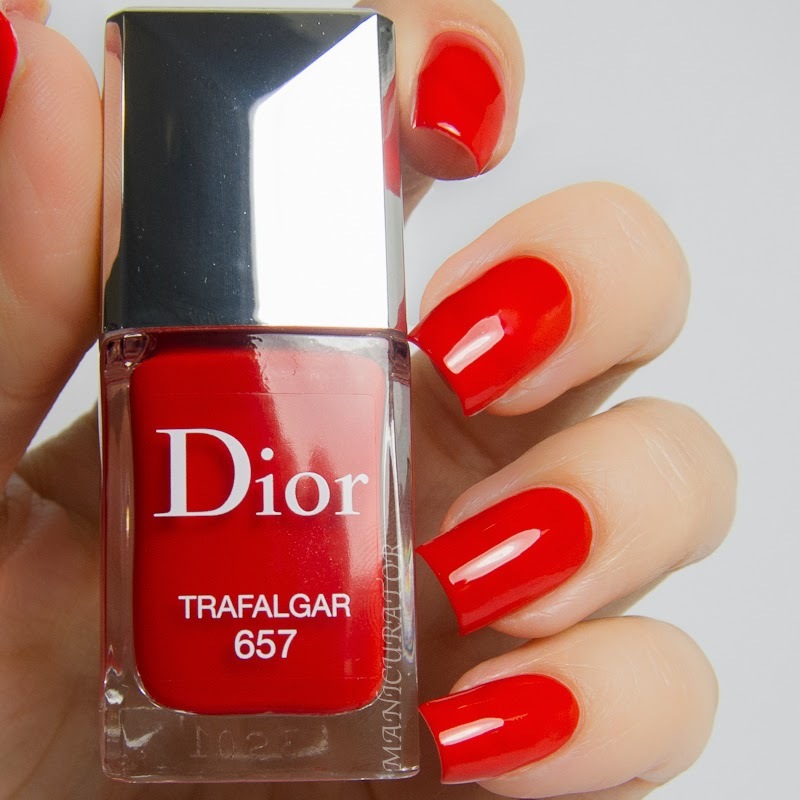 The Dior red, 999 is a remake of the original Dior red, 9 the first lipstick shade produced by Dior. 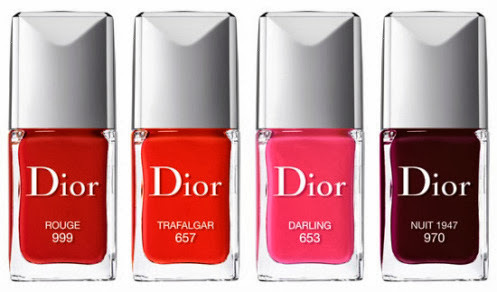 These 4 nail polish shades were created to go along with the revamp of the Rouge Dior lipsticks recently released. 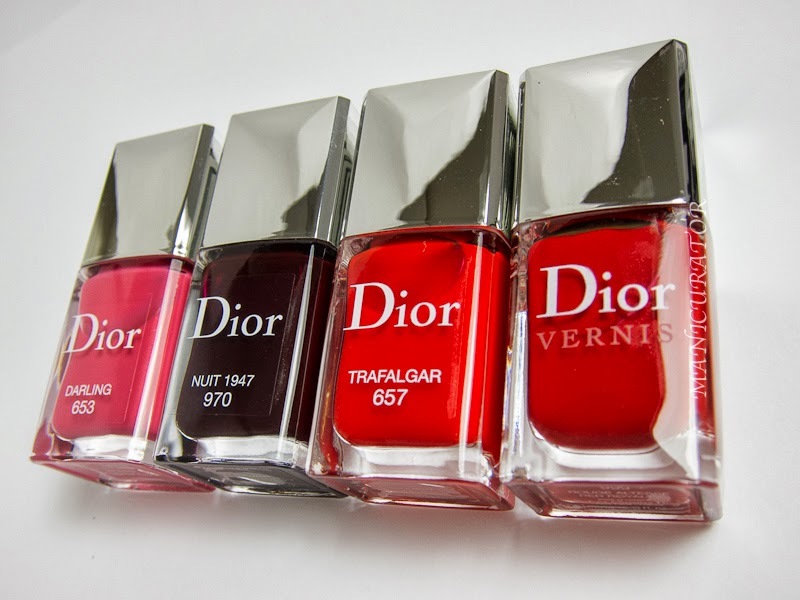 Each are $24 and available at Dior.com, Sephora, Nordstom, Neiman Marcus and Dior counters worldwide. I included the press release photo for color comparison. The only one I had trouble photographing was Dior Darling. I used Diorlisse ridge filler base coat and three coats for all swatches and no top coat. The formula for all are exactly what you would expect from Dior. 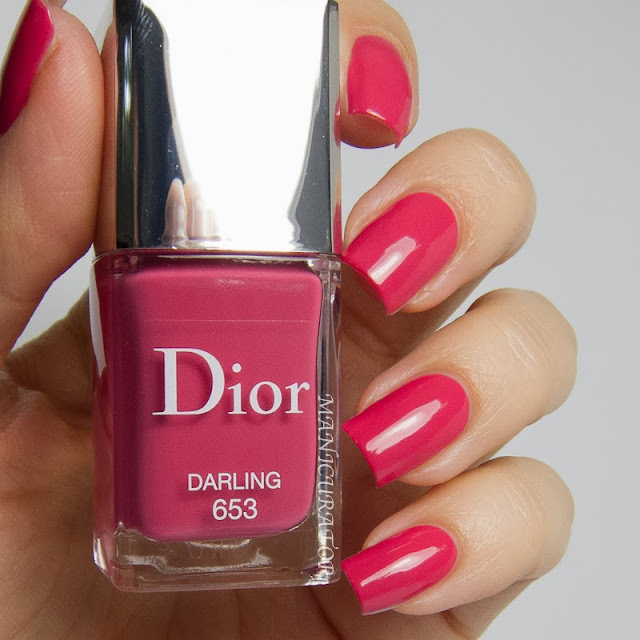 My photos for Dior Darling kept coming out too "hot" so I had to do some color correcting in the editing phase. I apologize, the color shown on the nail still isn't perfect. The true to life shade in my opinion is closest to my bottle shot. A beautiful medium pink with ever so subtle shimmer. The shimmer really wasn't apparent on the nail but I believe it gives it depth. 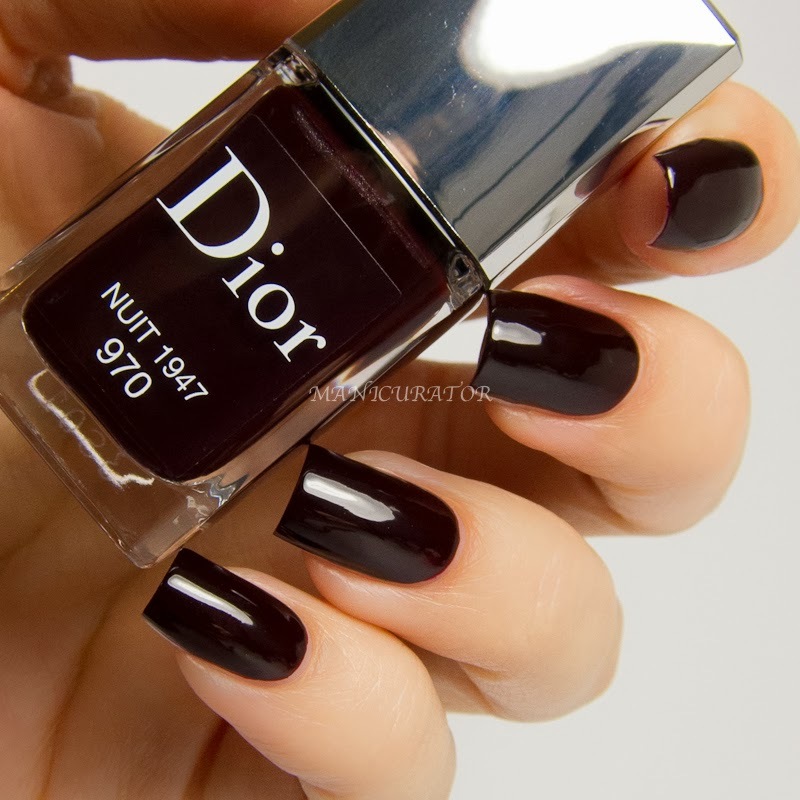 Dior Trafalgar is my surprise favorite from this group. I've never been drawn to orange toned reds. 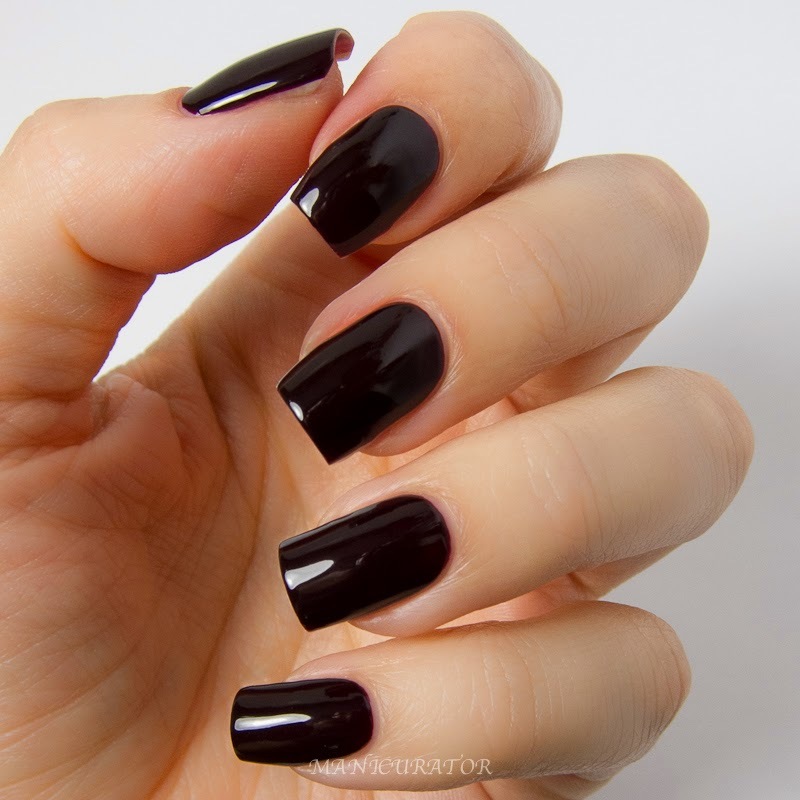 But this shade is such a knockout I couldn't love it more. 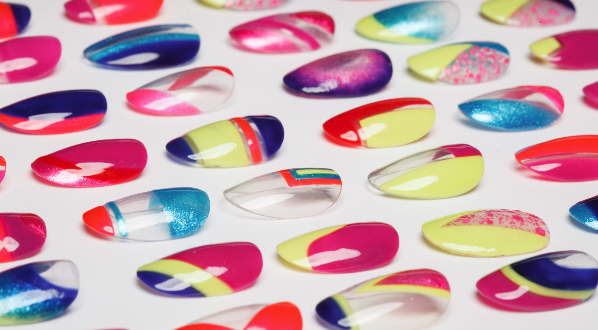 It's a hybrid creme/jelly formula, which gives it a juicy appearance. You may also see a hint of nail line, even after three coats. 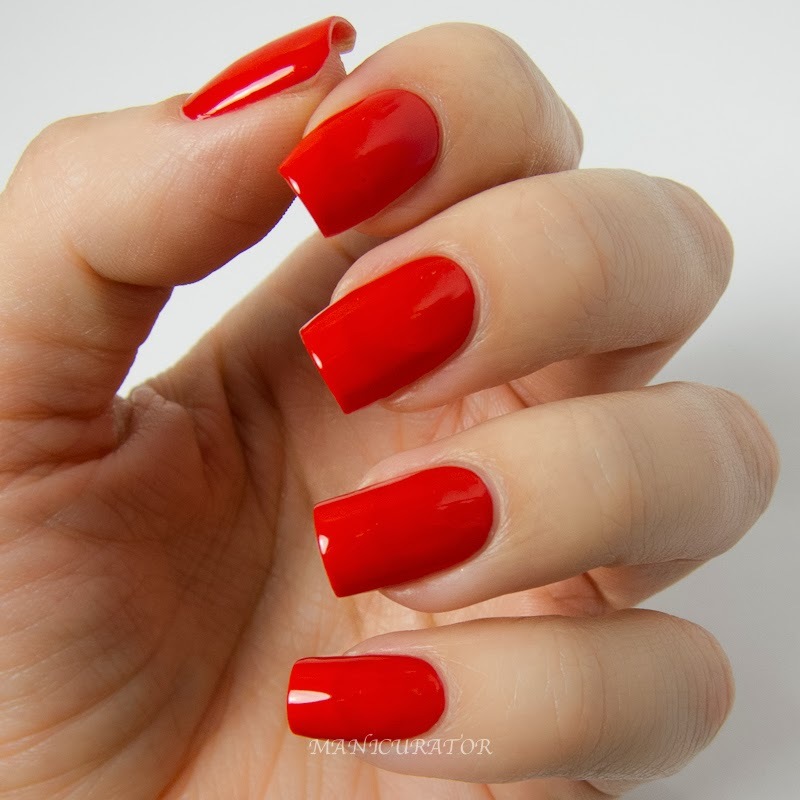 Here's a photo of Red Royalty, 999 (Re-released as Rouge Dior 999) I took earlier this year. 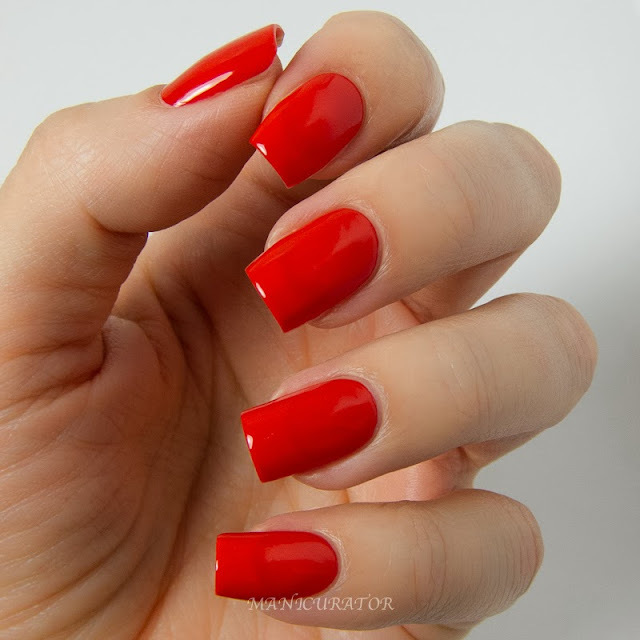 You can see my full post showing this shade plus some simple nail art here. It's hands down, my favorite red! 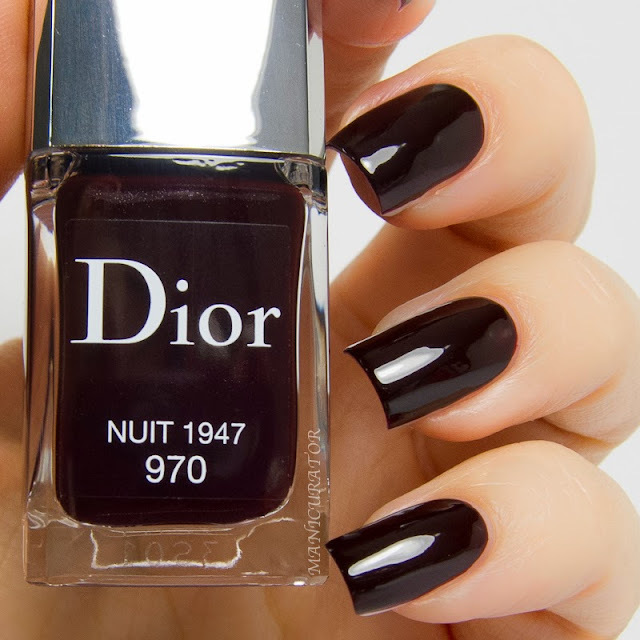 I was most looking forward to Dior Nuit 1047 as I don't have many vampy shades in my collection. I've never craved them before this Fall, can you believe it? Although there is that famous hidden shimmer in the bottle, it didn't translate onto the nail for me, except to add a subtle depth to the look on the nail. Really loving it! Will you be picking up any of these? Which one is your favorite? I'm looking forward to adding a few of the newly formulated lipsticks to my makeup bag too! Gah, just love ALL of these. That isn't good for the bank balance! 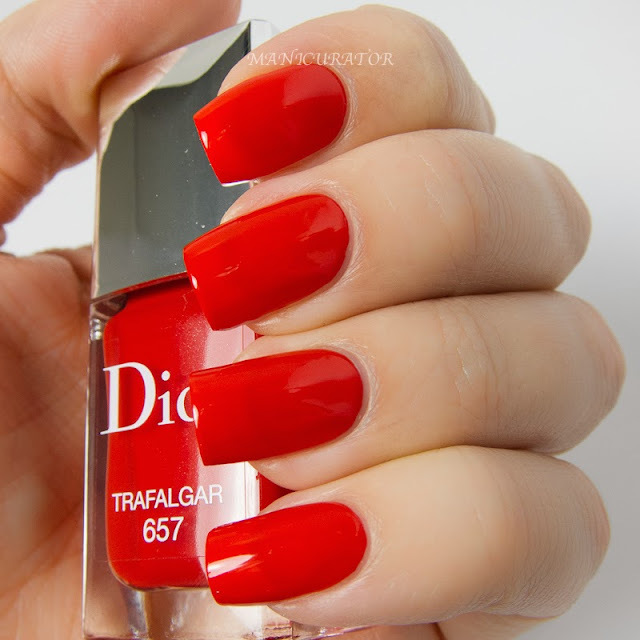 All so beautiful - Trafalgar is a gorgeous eye popping shade! Beautiful, beautiful swatches! All such classic and lovely shades... my faces are Red Royalty and Nuit 1947.. Just beautiful. Did I mention that? Wow so beautiful!! 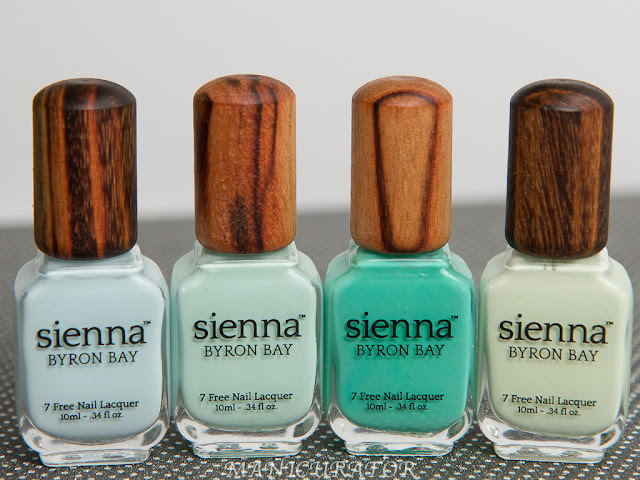 i love all shades and your nails! I think its so funny that you were not craving vampy shades until this fall because I am in the same situation! 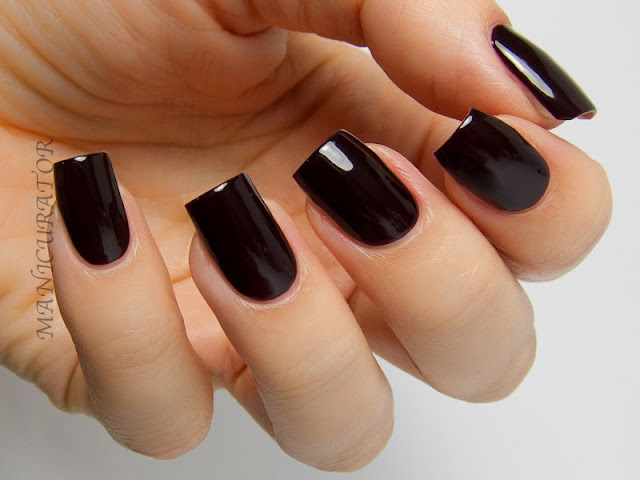 Im gravitating towards darker shades for the first time in 2 years since I've been really getting into nail polish BUT- I don't wear them. Im buying them but just admiring them for now. They still intimidate me. Ooh, I love the last two colors.